Get the latest news and updates from InnoVint, including tips on how our intuitive software platform can maximize your winemaking potential and benefit your winery and vineyard management. 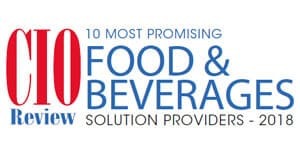 InnoVint was recently named one of the 10 Most Promising Food and Beverage Solution Providers by CIO Review. The list, compiled by a “distinguished panel of prominent CEOs, CIOs, VCs and analysts, along with CIO Review’seditorial board,” recognizes a select few of a number of providers assessed for their cutting-edge industry solutions. We are honored to be included on this short list!